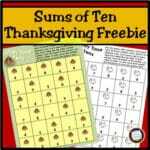 You are here: Home / All Freebies / Sums of Ten: Let’s Talk Turkey! Sums of Ten: Let’s Talk Turkey! 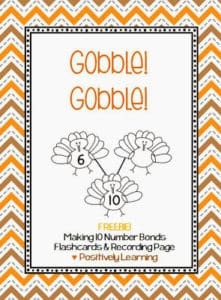 It’s time to talk turkey again, with a sums of ten math game that has a Thanksgiving theme! 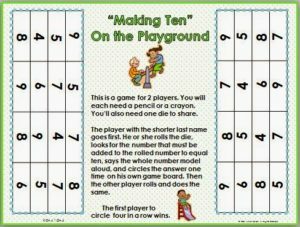 Your students will solve addition facts to decide whether the total is ten. If the sum is ten, the card goes in the turkey pot. If not, the player keeps the card. After all the cards have been solved, the player holding the most cards wins. Sums of Ten – Turkey Time! Primary Inspiration blog and my Teachers Pay Teachers store. You can also find me on Pinterest and Instagram. Thanks for stopping by!